Cosmetic Dentistry - Denver - Cosmetic Dentist Steven Weinstein, D.D.S. It is the goal of our cosmetic dentistry staff to treat each patient as if they were our only patient. Steven Weinstein, D.D.S., our cosmetic dentist is committed to providing Denver with the finest quality contemporary care in a warm and caring environment that serves both the patient's needs and desires. We welcome you to our cosmetic dentistry practice and thank you for selecting cosmetic dentist Steven Weinstein, D.D.S., in the Denver area, to provide your dental care. & the ultimate in patient care." Cosmetic dentist Steven Weinsten, D.D.S., is a Denver native. Dr. Weinstein received his bachelor's degree in Chemistry, Sociology, and Fine Arts from the University of Colorado, Boulder, and his dental degree from Case Western Reserve University School of Dentistry in Cleveland, Ohio. 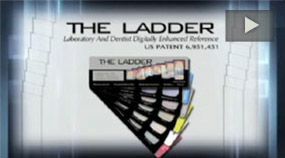 His artistic eye, combined with a talent in sculpture, steered him to the field of cosmetic dentistry where he has earned a national reputation for excellence in restorative dentistry and aesthetic treatment. Dr. Weinstein can improve your smile with cosmetic dentistry treatments such as porcelain veneers and teeth whitening. Contact our cosmetic dentistry practice to schedule a consultation with Steven Weinstein, D.D.S., our experienced cosmetic dentist. We serve Denver, Colorado, and beyond. WOW – that was amazing! A non-anxiety dental visit, a massage chair, a 3-D movie and teeth whitening!!! The experience was like none other, and the staff held the hand of this 47-year-old mother of 3 who REALLY gets nervous. 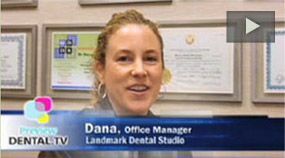 Folks – you’ve got to go Landmark Dental!